The beloved, Pulitzer Prize-winning poet died Thursday at 83. Oliver was beloved among the literary and non-literary community, and several celebrities tweeted in praise of the poet, including director Ava Duvernay, who quoted her poem “Praying” in appreciation on Thursday morning. If you didn’t know much about Oliver or her prolific career, here are a few things to start before you get lost in her poetry, which is largely available online. 1. She was one of the most prolific poets of her time. Oliver published over 15 essay and poetry collections. Her first, No Voyage and Other Poems, was published when she was 28. She would go on to win the 1984 Pulitzer Prize for Poetry for her fifth collection, American Primitive. Her collection, New and Selected Poems, won the National Book Award in 1992. 2. She would hide pencils in trees so she could stop to write during her walks. Oliver fancied herself “the kind of old-fashioned poet who walks the woods most days, accompanied by dog and notepad” according to a 2017 New York Times profile. Another New York Times profile from 2009 notes that Oliver would stroll in the woods and stop to take a sensuous snapshot of her surroundings. Once after Oliver found herself in the woods without a writing utensil, she hid pencils in the trees along her route so that she wouldn’t end up in the same predicament again. 3. 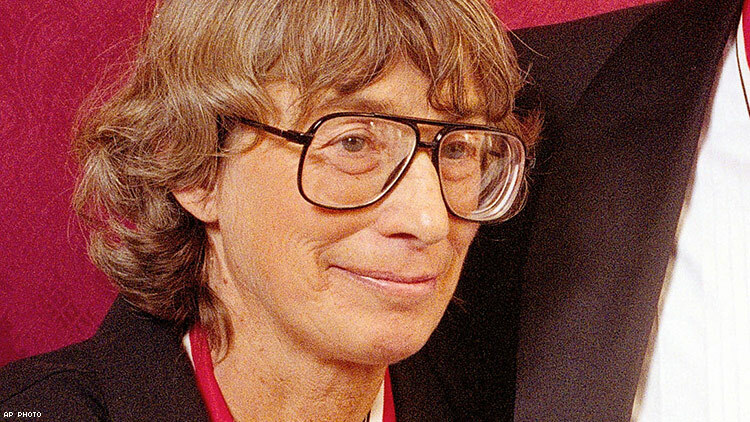 She was not taken seriously by many critics, for misogynistic reasons. .
from the new yorker profile about mary oliver: "she has not been taken seriously by most poetry critics. None of her books has received a full-length review in the Times"
The New Yorker profile later notes that none of Oliver’s works received a full-length review in the Times. Why is that? “Perhaps because she writes about old-fashioned subjects — nature, beauty, and, worst of all, God.” Syme said there was a “sneering sexism” to the criticism of Oliver’s poetry. 4. Oliver was an early fan of Edna St.Vincent Millay, which led to her meeting her longtime partner. While in high school, Oliver wrote to Millay’s sister, Norma, asking if she could visit the poet’s home in Austerlitz, New York. She left her native Ohio for New York the day after her 1953 high school graduation. Oliver ended up staying in Austerlitz many years to organize Millay’s papers, according to the Associated Press. While in Austerlitz in the late 1950s, she met Molly Malone Cook, who would be her partner until Cook’s death in 2005. “I took one look and fell, hook and tumble,” Oliver wrote of Cook, to whom much of her work was dedicated. Cook also became Oliver’s literary agent and the two relocated to Provincetown, Massachusetts. 5. She was a beloved fixture in the historic gaycation city, Provincetown. "I too fell in love with the town, that marvelous convergence of land and water; Mediterranean light; fishermen who made their living by hard and difficult work from frighteningly small boats; and, both residents and sometime visitors, the many artists and writers,” she told the New York Times. The Times even constructed a self-guided tour of Provincetown based entirely on her poetry.